Kaka’ako from those in the know. The KIA General Membership Meeting affords members a time to interact with each other, listen and ask questions of guest speakers, and receive timely updates. Two KIA Networking Events are also held each year, with KIA members bringing a “brown bag” to meet and interact with each other. KIA’s Invitational Golf Tournament’s contribution benefits area schools and non-profit organizations. Since 2007, however, not every year, the KIA Invitational Golf Tournament has raised $78,000 and benefited the Children's Discovery Center, Polynesian Voyaging Society, KCAA Muriel Preschool, and the Voyager Charter School. KIA acts as the voice of its members to the Legislature, State and City administration and the Hawaii Community Development Authority (HCDA). 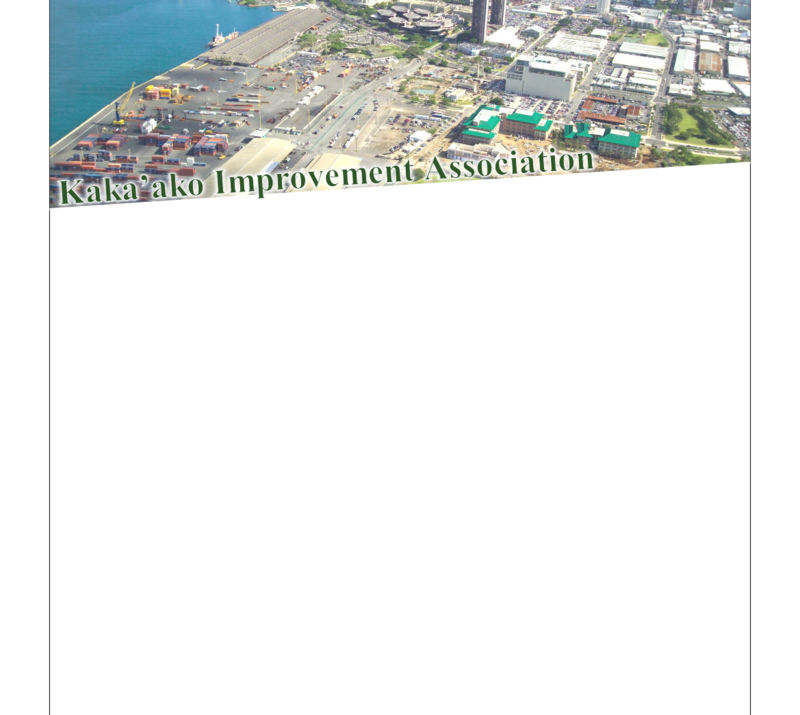 The Kaka’ako Improvement Association invites individuals, organizations and companies to join in become a very concerned, involved, and informed member. 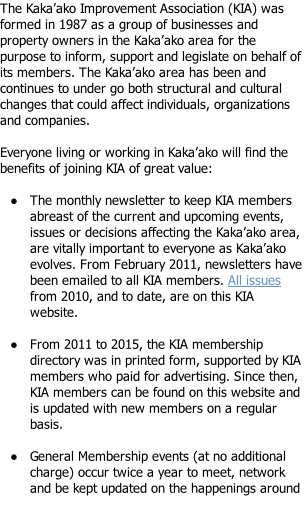 For a KIA Membership Application, please visit our Membership page.